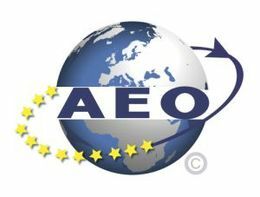 Since March 25th, 2019 Albert Schweizer KG has been granted the status of an „AEO C/S” (Authorized Economic Operator). This means that Albert Schweizer KG has been recognized to be particularly reliable and trustworthy and is entitled to facilitations for the customs clearance, also for the benefit of our customers. Since 2008, EU-based companies taking part in the customs process can request this status at the main customs office. The ambitious goal is to secure the continuous international supply chain from the manufacturer to the end customer against terrorist threats. The introduction of the AEO constitutes a key element in the safety concept of the European Union. 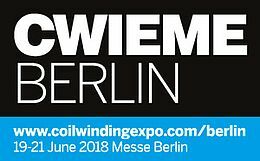 Please note: This year the Coil Winding show in Berlin will be held from May 21st to 23rd 2019. Please reserve an appointment at our booth 42.D01 in Hall 4.2a. We are exhibitors! Please visit us on International Suppliers Fair (IZB) for Automotive in Wolfsburg from October 16th to 18th 2018. Our booth stand nr. is 2301 in hall 2, we look forward to welcome you! Electrical equipment, no matter if motors, transformers or generators, have a common requirement: smaller, lighter and more efficient. Schweizer Information: New Rotary Punching Machine Ordered! From September 2017 our machine equipment will be expanded with a new rotary punching machine.Punching and coining of papers, films and laminates in widths up to 350mm. Punched parts, either uncoated, partially or fully coated with adhesive, delivered on rolls, as single pieces, to be fenced off, piled – manufacturing possibilities without limits.By introducing this new technology rotation punching machine, we do not only prepare for the increased demand for punched parts, but also continue our way to strategically modernize our machine park. Online registration for CWIEME Berlin from June 20th to 22nd. We are looking forward to your visit at Hall 4.2a booth 42 C01. Two charging stations will be made available for customers and visitors at Schweizer KG headquarters to allow re-charging electrical vehicles in a quick and simple way! The insulation materials by Albert Schweizer KG fulfilling the norm EN 45545-2 were received with great interest. Surface insulation materials, sleeves for electrical, mechanical, thermal, EMI and fire protection, as well as a new Nomex® paper – all fulfilling HL3 requirements – were at the center of our product presentation. Are you interested in our products? We are at your disposal for any further information! 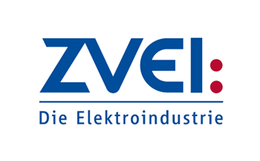 As a member of the EWIS (Electrical Winding & Insulation Systems) professional organization inside ZVEI (German Federation of the Electrical and Electronics Industry), we would like to present to you the guideline intitulated "Partial Discharge Measuerement and Diagnosis for Low-Voltage Applications ≤1'000 V". Partial discharges are a subject that matters even in low voltage applications. Switching power supplies and frequency converters are increasingly being used for the speed control in electrical drives in order to improve energy efficiency. This leads to an additional electrical stress and bears the risk of partial discharge to occur, causing premature ageing of the insulation materials. As a member of the EWIS (Electrical Winding & Insulation Systems) professional organization inside ZVEI (German Federation of the Electrical and Electronics Industry), we would like to present to you the guideline regarding the application of the railway fire safety norm EN 45545-2 to electrical insulation materials. Being entered into force on 1st of April, 2016, the norm EN 45545-2 defines a common European standard for the fire safety requirements of all materials used in passenger railway vehicles. Our newly designed exhibition booth at CWIEME 2016. Albert Schweizer’s successful presence at the world-leading trade show in Berlin, with our refreshed corporate design. As well in 2016, the Albert Schweizer KG will exhibit at InnoTrans Fair from September 20th to 23th in Berlin. Safe the date. You are invited to visit us at our stand 201 in hall 15.1. The Amper Tradeshow – 24th international fair for electrical technology, electronics, automation, communication and safety technology takes place from March 15th to 18th in Brno, Czech Republic. Our Sales Manager CEE/EE and Business Development Manager Mr. Hendric Stattmann is attending the fair and is available for face-to-face meetings. Mr. Stattmann can be reached by phone (+49 173 214 32 06) or e-mail (h.stattmann[at]schweizer-net.de). German Railways CEO Rüdiger Grube officially baptises the fourth generation of the German high speed train ICE. A new traction technology, lower energy consumption, more effective air conditioning and flexible train lengths, the ICE 4 will mark the beginning of “a new era in high speed traffic”. German Railways seek to expand their long distance offering – of which the ICE fleet constitutes the backbone - by 25% until 2030. Likewise in previous train generations (ICE 1 to ICE 3), insulation materials from Schweizer are the tried and tested components of the traction transformers of the ICE 4. We have expanded our machinery to include a facility for forming and embossing papers, films and laminates in thicknesses from 23µm (1mil) to 1mm (40mil). Formed, embossed and bent parts like slot wedge covers and U-channels can now be manufactured in widths up to 500mm and flank heights up to 65mm. We are looking forward to your inquiries!